STRESS – is it a main contributory factor? Stress can have a massive impact on both a persons brain and body, I sufferer from a condition called Functional Movement Disorder. This is a psychogenic neurological disorder, caused by past build up of life stresses that at a certain point made my brain in effect suddenly have a disconnection of the central nervous system. It means now my brain does not send or receive signals to and from my body properly anymore, for the bodies movements to work correctly. My brain can misfire so make it move on its own giving me weird, odd movements out of my control, or does not move when I ask it to. 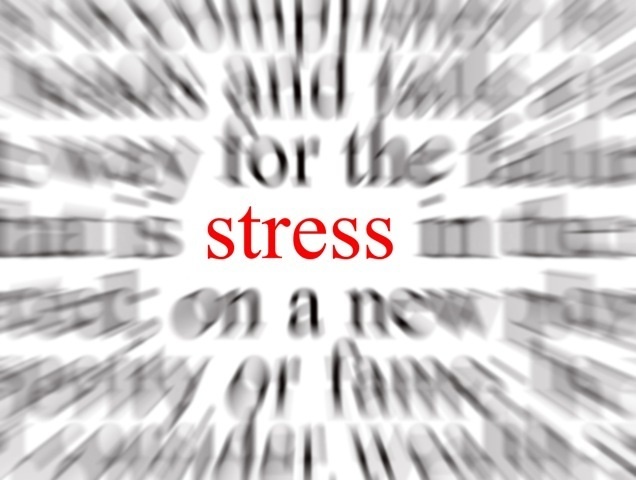 Stress is one of the factors in this disorder, and it is a little like Post Traumatic Stress Disorder. We have to learn to have a life balance where we give ourselves a break from the daily stress that we all go through, and have to find a way to keep the balance right. I know how hard that is believe me, but it is something that society needs to start to understand. That people are not machines, we need rest and play as well as work. There has always been the phrase around “Work, Rest & Play”. Unfortunately it seems that now in the economic situation the world is in now, everybody is finding life more challenging to meet their bills. To put food into their families mouths, and to keep clothes on their kids back and a roof over their heads. We don’t all need the latest gadgets, the new flat screen televisions, the latest craze or fashionable clothes. We just want to have a happy life, and I want to help people remember to live life with a smile.